Before starting production work on the band’s first full-lenght album, SnakeyeS wants to thank the fans for the amazing reception of our debut EP “Welcome To The Snake Pit”. So, we decided to record a bonus track called “Riding The Sentinel Into Hell”, thus paying tribute to one of our favorite all time bands: Judas Priest. As you might guess, the song is a medley of three famous Priest songs: Riding on The Wind, The Sentinel and Burn in Hell. You can download “Riding The Sentinel Into Hell” for free from the SnakeyeS official website, by clicking on this direct link, or stream it from YouTube. Welcome to the Snake Pit is also available on the following digital distribution platforms : Juke, Muve Music, VerveLife, MySpace Music, Rhapsody, MediaNet, Xbox Music, Rdio, iHeartRadio, Sony Music Unlimited, Wimp, Gracenote, Shazam, simfy, 7Digital, Nokia, eMusic. 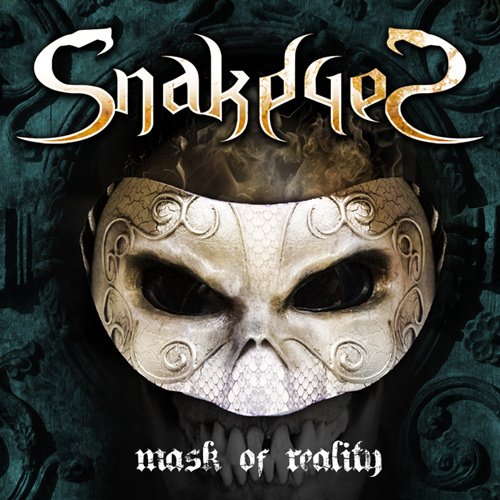 SnakeyeS is putting the finishing touches on the material which will be featured on the band’s first full lenght album. The band will keep you updated on the progress through news, clips and short videos from the studio. We are proud to present the first SnakeyeS video trailer. This is your first chance to hear short excerpts from the upcoming EP, officially titled “Welcome To The Snake Pit”. This short trailer also reveals the band’s logo, designed by the renowned artist Fernando Nanderas. Stay tuned: we will soon reveal all the details about “Welcome To The Snake Pit”: the cover artwork, the complete track list, and a very special guest who will be featured on one of the songs.